decades earlier has turned into a lifelong passion for Pucilowski. Wine Appreciation 101 classes held at the Oak Ridge Winery Event Center, in Lodi, California. understand segments. From how to taste wine to food pairings, any “student” will get the facts he or she needs to know to make an informed decision about what wine to buy. 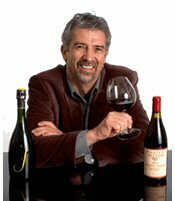 Pucilowski the credibility and knowledge necessary to create the a wine competition where consumers are the judges. People who actually drink the wine, judge the quality of the wine. It is called the Consumer Wine Awards in Lodi which has wine entries from wineries all over the United States an the world. Pooch also serves as a wine judge at some of the most prestigious wine competitions in the country, including the San Francisco Chronicle, Dallas Morning News, Houston Livestock, Rodeo & Wine Competition Fingerlakes Int'l, and Santa Rosa Press Democrat. session or an exclusive wine seminar for a group. Each session is customized. A prolific and engaging writer, Pucilowski has served as wine consultant/writer for Sacramento Magazine for nearly 10 years, and has written numerous articles for various wine publications throughout Northern California. Pooch’s continued fascination and interest in wine has prompted Pucilowski to begin writing a book about his own experiences within the industry. With decades of experience to draw from, the book promises interesting anecdotes and illustrations about wine and the industry. His unique blend of humor and expertise landed Pucilowski his own “Pooch on Wine” segment, aired weekly on Sacramento’s KOVR Channel 13. Today, he continues to make regular guest appearances on television and radio shows throughout the country. Pucilowski is Past-President of the Society of Wine Educators, an international organization of 1,500 wine educators from all over the world. He earned his credentials as a Certified Wine Educator (CWE) through the Society, which acknowledges an exceptional standard of both academic knowledge and sensory capability in the field of wine. He was a Charter Member of this Association and served on the Board of Directors for over 12 years. As President/Owner of the University of Wine, (previously known as Wine Educators, Ltd.) he has had the opportunity to travel around the country, Canada and the Virgin Islands giving lectures and seminars to wholesalers /distributors, restaurateurs, retailers and winery personnel. Through his consulting work, he has designed, created, produced and sold educational programs to train these same groups. His passion for the grape and his love of teaching keeps Pucilowski in demand as a speaker, writer and, most importantly, an educator. With more than three decades of training, experience and knowledge, he has become one of the most well-respected wine educators around the country. Emerson once said, “To be great is to be misunderstood.” If I didn’t know any better, I would think he was referring to wine. During my thirty-plus years as a Certified Wine Educator, I have found that, to this day, people still view wine as too complicated to understand. If there’s anything at all complicated about wine I can assure you it is only in the process of making it. For the rest of us, discovering our own tastes should be about as complicated as it gets. wonder that many of us are confused, possibly intimidated or just plain clueless about how to taste and purchase wine. presentations—all of which I offer. Most of my classes and seminars are open to the public. At other times I am invited to be the keynote speaker at a corporate event, or to preside over some of the most prestigious wine judging competitions in Northern California. taste and enjoy wine—just like a pro! at the State Fair commercial competition are poured along with tastes from local restaurants.